I’ve been thinking a lot about creativity recently—what it is, how to obtain it, and most importantly of all, how to keep it. I read a great blog post the other day on T.O. Weller’s blog Never Too Late To Write (http://nevertoolatetowrite.com/to-fall-in-love-with-your-muse-do-this/), where she talks about keeping your muse happy. In the post she talks about the importance of keeping your muse entertained, to keep her functioning at her best. She recommends taking her on occasional outings, to cultural institutions, bookstores, but even the local burger joint will have something interesting to offer her, if that’s what she wants. Because creativity requires us to have fresh experiences, which in turn enables us to see things in a new light. And the creative process can be hard to pin down. This reminds me of a book I’ve been reading called The Artist’s Way by Julia Cameron. In it she recommends taking what she calls your ‘inner artist’–in effect your muse—on a weekly ‘artist’s date’. This ‘artist’s date’ needn’t be expensive, or an outing even, it might just be trying something you’ve never done before, like planting a flowerbed or making something. The purpose of this activity is to nurture your creative side, which may also be the less rational, more playful part of who you are. And, let’s face it, if you are a writer or an artist, it’s all too easy to get bogged down in the deadlines, the details, the sheer volume of work you hope to do but can never quite manage. 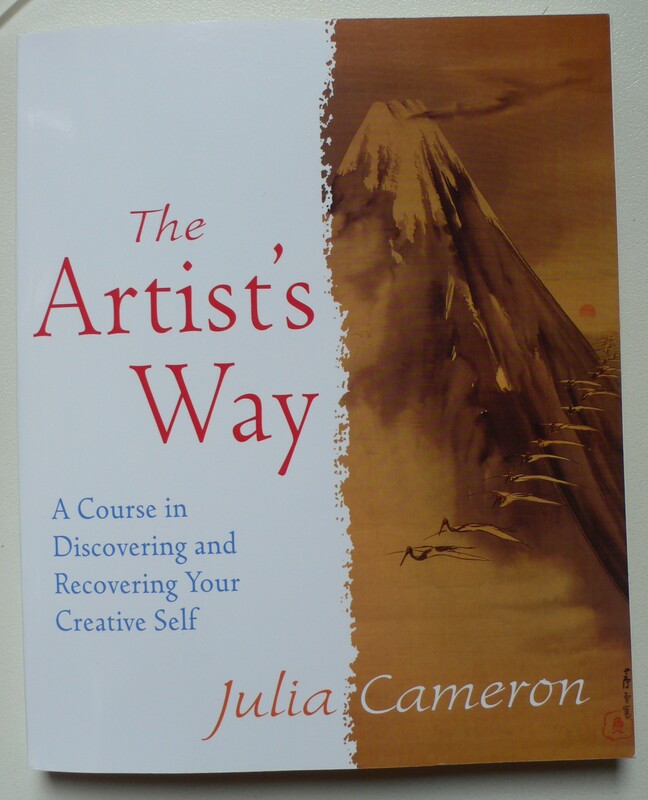 Julia Cameron suggests that by caring for our ‘inner artist’—looking after him/her—we can all become much more inspired people who are open to having new experiences that will then allow us to meet our artistic practice head on. This would seem to suggest that embracing our creativity, with all its eccentricities and erratic behaviours, may also be a more efficient way of working. It’s this possibility which interests the rational side of me and made me willing to give it a try. I’ve even gone on a few ‘artist’s dates’. 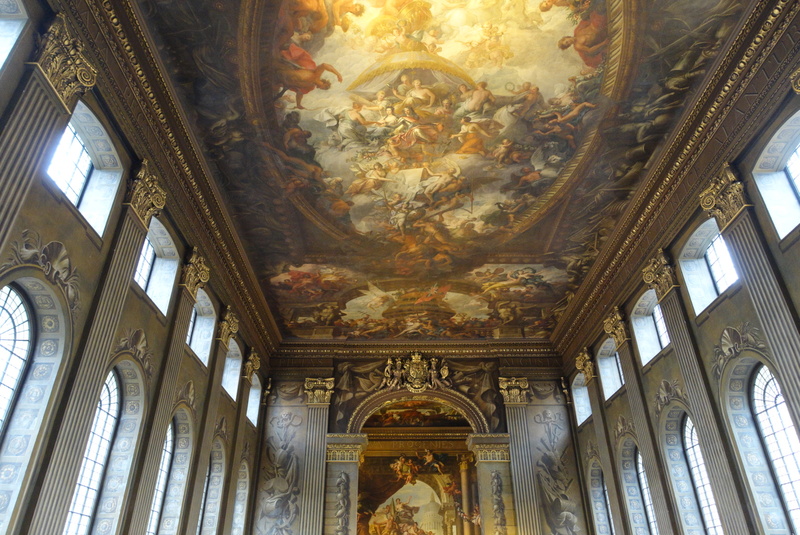 Visiting The Painted Hall at Greenwich. 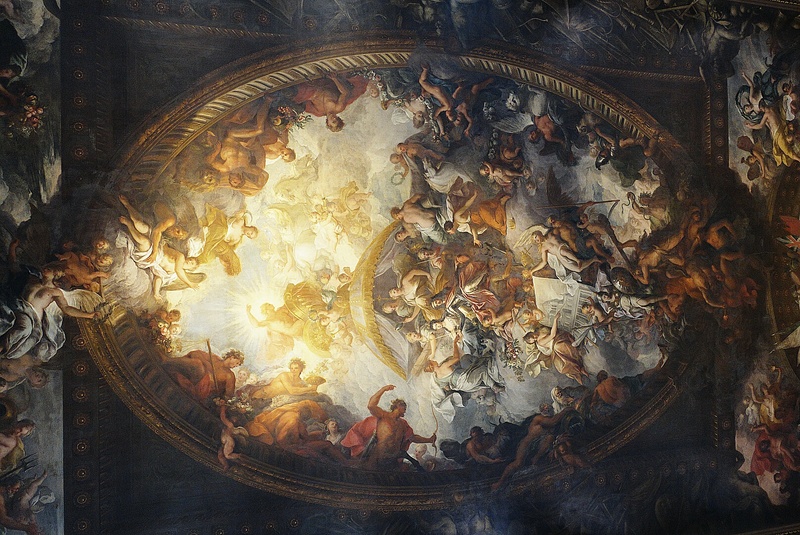 Isn’t this ceiling amazing? 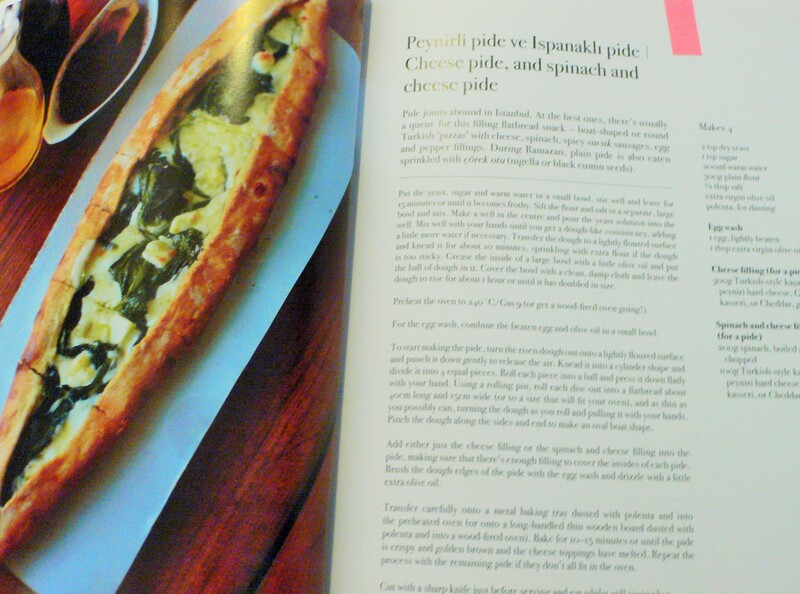 Making Turkish pizza. It’s important to feed your creative side too. 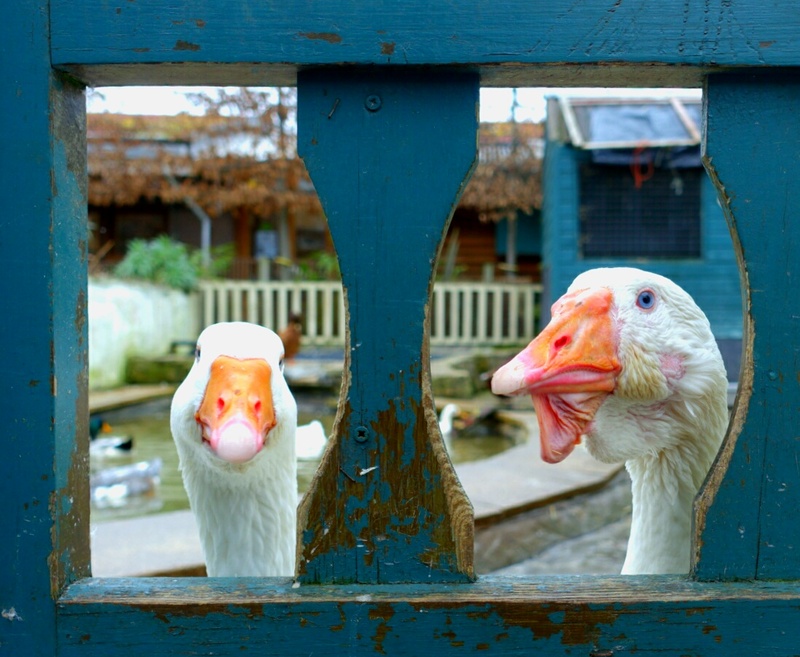 Visiting a city farm. Interacting with nature and animals always makes me feel more creative. You can see how fickle my muse is, can’t you? I have to admit that since I have begun making a conscious effort to embrace my creative side, to nurture my ‘muse’ or ‘inner artist’, I have felt more productive. So, how do you maintain your creativity? And do you think you have a ‘muse’ or ‘inner artist’? Do you find that you’re more productive as an artist when you’ve had some time off, to go for a walk in the park, to visit a museum, or just to make a big mess in the kitchen? I’d love to hear your experiences so please do leave a comment below. Oh yes, and before I forget, Ruth. Have you heard of ekphrasis? It basically is one type of art enhancing another type (or experience) of art. We did an exercise in my Craft and Experimentation class at the start of the semester where each student wrote a piece based on their experience of looking at a painting. The results were quite interesting! Yes, I have heard of it, though I’ve never tried it. I find the practice of painting provides that space for creativity to pour out, and the processes are all very similar. As you say it’s the space to allow yourself to think creatively. I love the idea of keeping a journal. I’ve recently started doing this again too (I used to always keep a journal but somewhere along the line I stopped). I find that journal writing is very important to my creative process–I think it has to do with the fact that I can separate out different types of writing–and I write in it every day now. I used to keep a folder of newspaper clippings too, where I would stash articles which inspired story ideas, or just intrigued me for whatever reason. All great ways of maintaining creativity I think. And I agree, you don’t have to get out to get your creative juices flowing. My point was more to find ways of keeping our eyes and ears open by creating space in our lives for this to happen. That’s a great way of maintaining creativity I think. 🙂 I like to just sit and let my mind roam free for awhile,or to follow my characters journeys in my mind. I find this really helps me generate new ideas for stories. I don’t get out often, but find a daily journal a way of keeping in touch with my creative side. Even if I have other work to do during the day, I regularly write in the journal. I also make sure I read a quality newspaper each day to keep in touch with the real world – and this also helps with ideas. As I read an article and then think, what if…? I also find painting sparks literary ideas, and vice versa. Great blog piece and lovely photo’s. The book sounds interesting, I’ve made a note of it for when I have a bit more cash! Great blog post… I love the photos too… I do believe I have a muse and that she pays a huge part in my creativeness… I think that doing new things is a great way to nurture your muse… I often meditate and go on creative journey in my mind with my muse, as well as try to do new creative things.. I very much enjoyed your blog post..